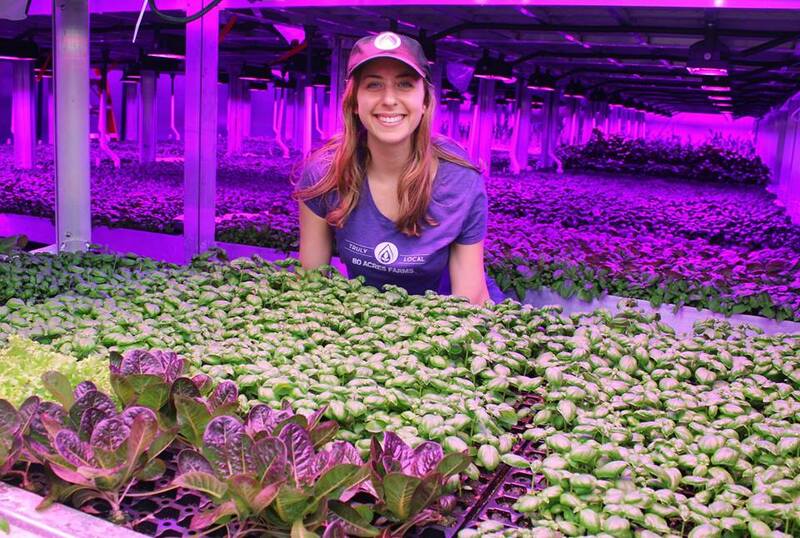 Cincinnati-based 80 Acres Farms recently publicized its plans to build an extensive, fully automated indoor produce farm. Planned for Hamilton, OH, the farm will produce specialty greens — namely microgreens, culinary herbs, leafy greens and kale in its initial phase — that will be supplied to distributors including (but not limited to) Jungle Jim’s International Market, Dorothy Lane Markets and even Whole Foods Market and U.S. Foods. Currently deemed “the first of its kind in the nation” by CNBC, the indoor farm’s groundbreaking event took place September 24. Collectively the farm will cost nearly $15 million, and is set to create roughly 40 jobs in the $45,000 range including benefits. On-site features will incorporate robotics, data analytics and artificial intelligence for optimization, and the space itself is set to encompass upwards of 150,000 SF across more than three acres. Learn more about 80 Acres Farms here.